Spheric (1.56) lenses are with anti-scratch hard coating and 85-90% UV protection coating (Please choose higher index lenses to get 100% UV protection). The higher index lens greatly reduces the thickness of the lens edge, and are suitable for spherical power of +2.00~+4.00/-2.00~-3.00 or below, and cylindrical power of +/-2.00 or below. What coatings and add-ons do you offer for your lenses? All our lenses come with an anti-scratch hard coating to avoid lenses being easily scratched, ensuring vision clarity and durability. Do you have prism lenses? We only provide single vision prism lenses right now. 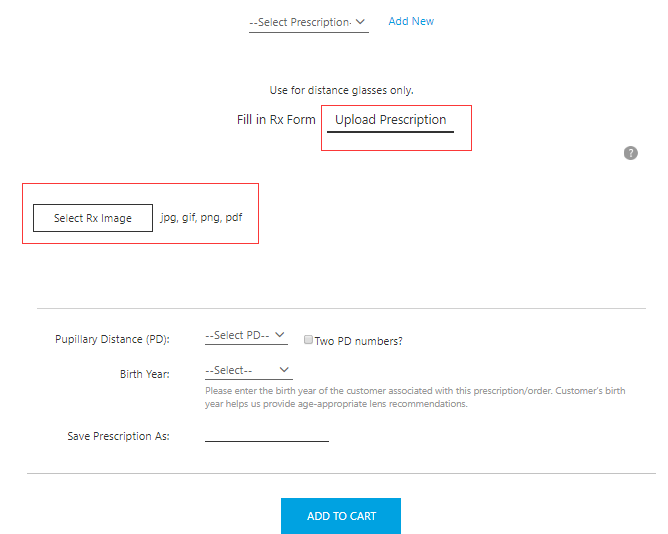 Just upload the picture of your original prescription and then our professional will help check it. For prism lens, we charge extra $9USD. What is the difference between single-vision and bifocal/progressive lenses? 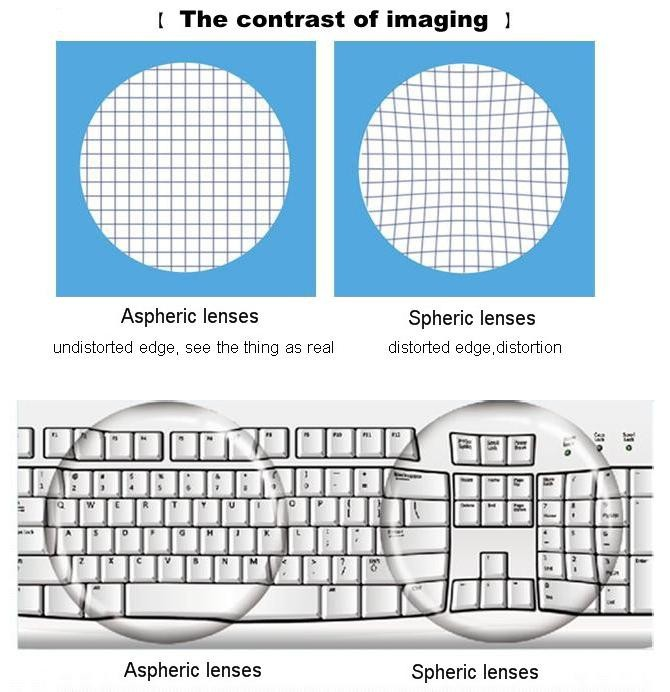 Single vision lenses refer to lens that have only one use, to see objects in the distance, to see intermediate like computer or phone, or to see near for reading (reading glasses), while bifocals/progressives are a type of prescription eyeglasses that can be used to correct both near and farsightedness. This means you can see your whole field of vision without switching between multiple pairs of glasses. Do the lenses include any coating? All of the lenses have an anti-scratch coating and the coating is free. 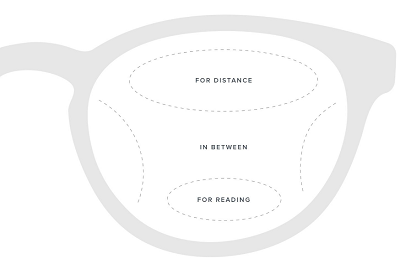 Single-vision prescription lenses are for people who need to correct one field of vision, either for distance, intermediate (computer), or near vision (reading). They contain the same amount of vision correction throughout the entire lens. 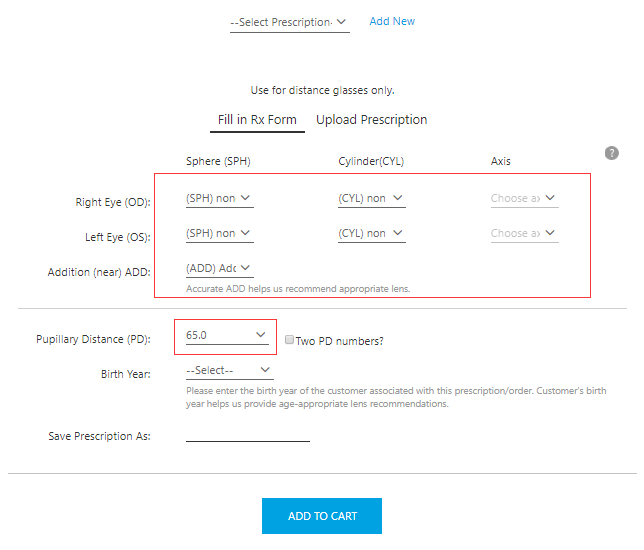 There is no ADD in the prescription in the single vision prescription and there are no lens height requirements for single vision prescription. 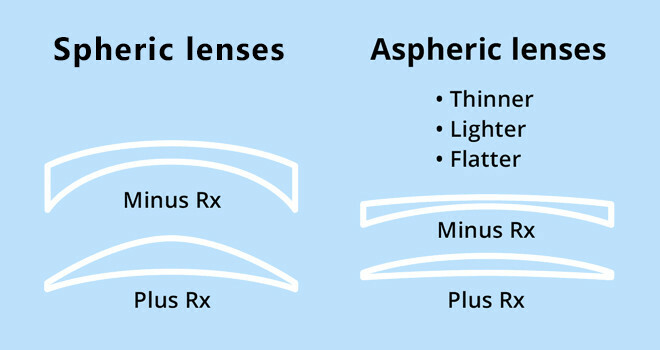 Progressives are multifocal lenses that contain at least three prescriptions. They have three main fields of vision, including near, intermediate, and distance. Progressives do not have a visible line between prescriptions. This gives the wearer a seamless and uninterrupted transition when looking from up-close objects to far-away distance. What is the material of your lens? Our lenses are made of resin, which are lightweight and highly impact-resistant. Resin lenses also have a strong ability to block ultraviolet radiation to protect your eyes.